https://twitter.com/#!/omahasymphony - accounts! That's where you will find recent articles, concert promotions, and ticket giveaways! Tune into Classical KVNO 90.7 this summer for exclusive Omaha Symphony 10/11 concert broadcasts! Sundays from 8-10 a.m. starting 6/26. The schedule's on the homepage. Here are pictures from our visit to Children's Hospital & Medical Center on Monday. We hosted an instrument petting zoo and homemade instrument-making station in the Atrium. Then, musicians Maria Harding and Amy Peterson-Stout strolled through the hospital's halls, performing beautiful music for the patients and their families. What a wonderful visit! Thank you, Children's Hospital & Medical Center. Click here to order tickets online! 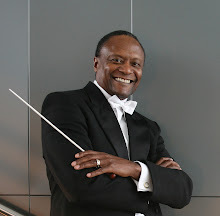 Omaha, Neb – Omaha audiences typically see Omaha Symphony resident conductor Ernest Richardson on the podium, but next Saturday, concertgoers will hear a piece of music by Ernest Richardson—the composer—for the very first time. 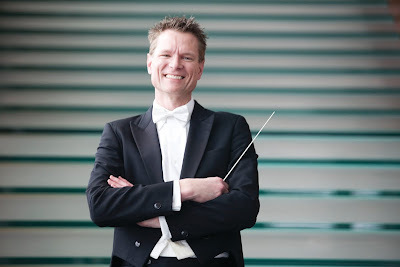 Experience the world premiere of his Three Scenes for Chamber Orchestra at Spirit of Creativity Saturday, May 28 at 7 p.m. at the UNO Strauss Performing Arts Center. The piece, dedicated to the Omaha Symphony in honor of its 90th Anniversary, is the crown jewel of a program full of creative pieces that break the mold. “Performing Ernest’s extraordinary composition is the perfect conclusion to our 90th anniversary season. It is the ideal time to honor one of our own who has given so much to this community,” said Omaha Symphony music director Thomas Wilkins, who will conduct the concert. The final Chamber concert of the 2010/11 season also features works by Copland, Bartók, and Barber. Spirit of Creativity also highlights the talents of three Omaha Symphony musicians: Maria Harding, flute; Jason Sudduth, oboe; and Scott Quackenbush; trumpet. 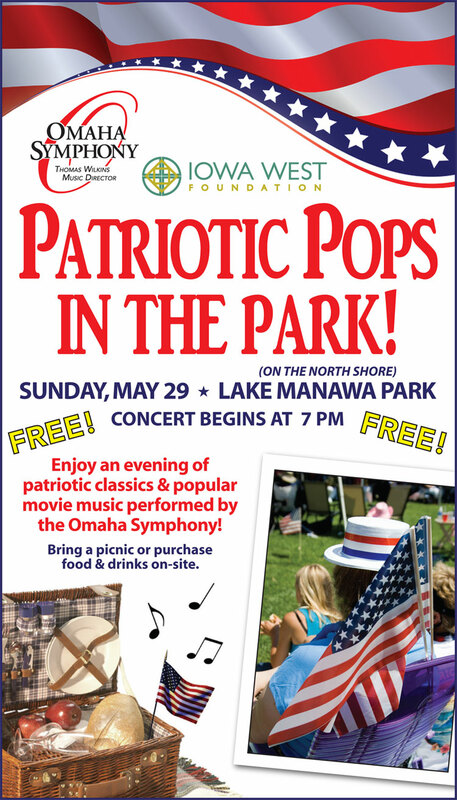 Join the Omaha Symphony for this celebration of creativity—and its own conductor Ernest Richardson! For tickets, please call 402.342.3560 or click here! Read All About It! "Mr. Johnson's Opus"
Don't miss this tremendous article by Sarah Wengert with The Reader--a feature on our new President and CEO, James M. Johnson. Do you like FREE MUSIC??? Join us Memorial Day Weekend! 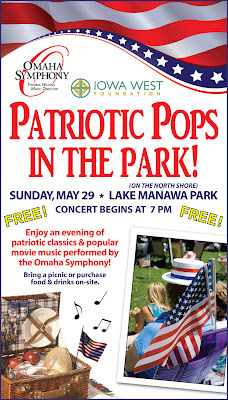 A FREE Omaha Symphony concert? Outdoors? Spirit-lifting music in a gorgeous lake locale? YES, PLEASE! Pack a picnic and don't miss it!